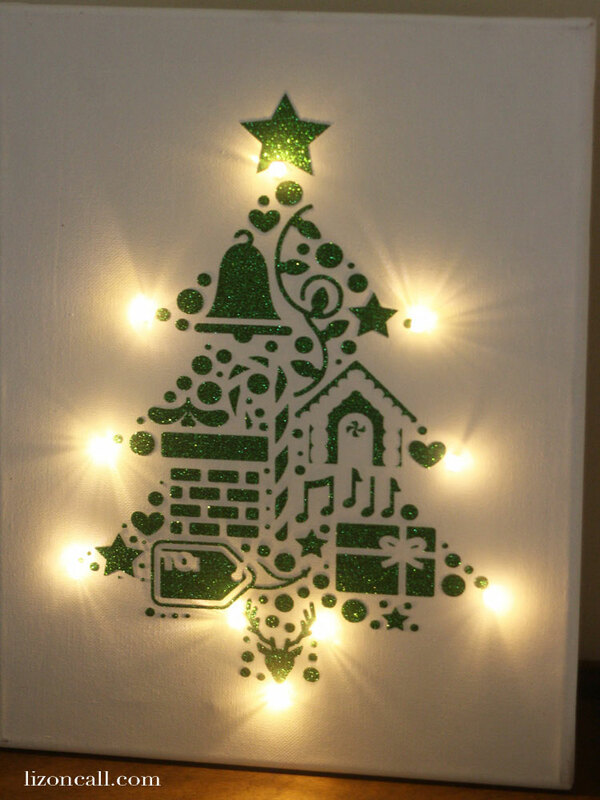 Get Ready for Thanksgiving and Christmas With These Cricut Maker Projects! I'm a stickler for giving certain holidays their due; I don't like to really start celebrating Christmas until Thanksgiving has passed. The one exception I make is for crafting since some can take a while and it's just a fun excuse to create something new! If you haven't started working on your crafts for these two holidays yet, here are some ideas to get you creating with our Cricut Maker. 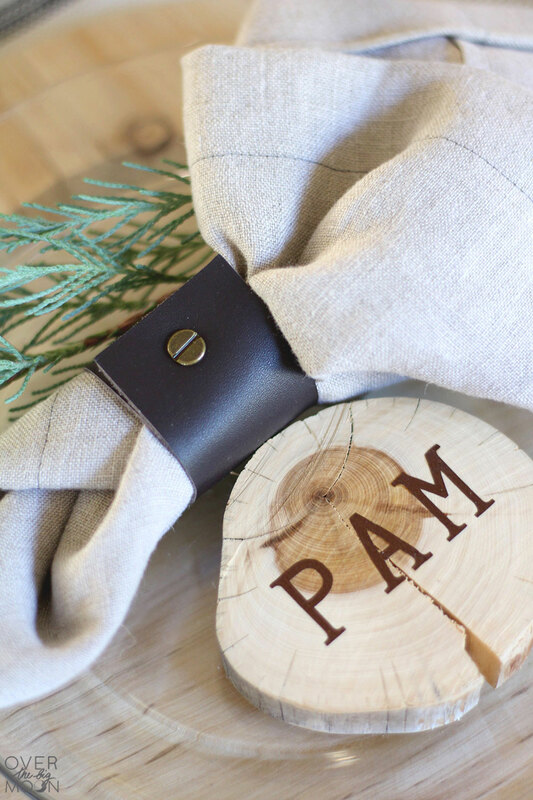 These wood slice place cards by Pam from Over the Big Moon are a simple, yet elegant way to let your guests know where they will be sitting. It can be especially meaningful if you take a walk with your kids to find the wood and have them help you make these. Are you a fan of the "12 Days of Christmas" song? 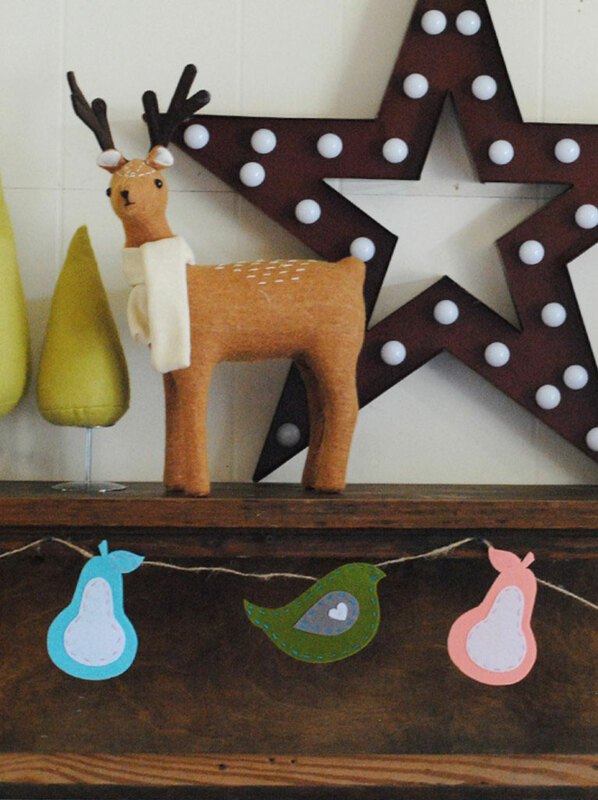 Decorate your house with representations of the different things mentioned in the song, starting with this Partridges and Pears garland that Cris created over at Kiss My Tulle. 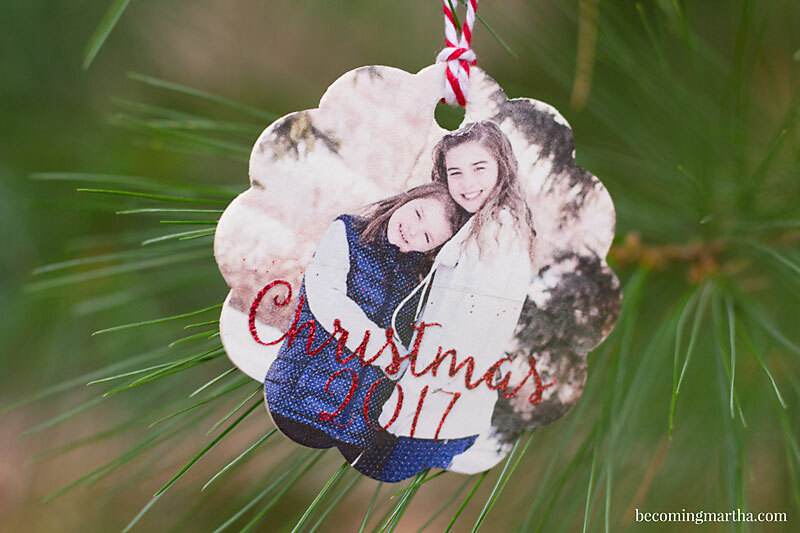 Start a tradition by making these wood photo ornaments by Sarah from Becoming Martha. Use a picture of a favorite memory from the current year. It's taken me many years to appreciate anything about the snowy cold of winter since I didn't grow up around it. These winter felt ornaments by Albion of Albion Gould do represent some of my favorite parts of this chilly season, so it would be fun to make these as a reminder. If you're looking to decorate your front door but don't want to use a wreath, try this lovely Christmas Canvas Unwreath door decor by Liz from Liz on Call. I love how it uses battery operated lights so you don't have to worry about hiding a cord on the outside. Want something a bit more cheery than the traditional Thanksgiving colors like orange, brown and yellow? 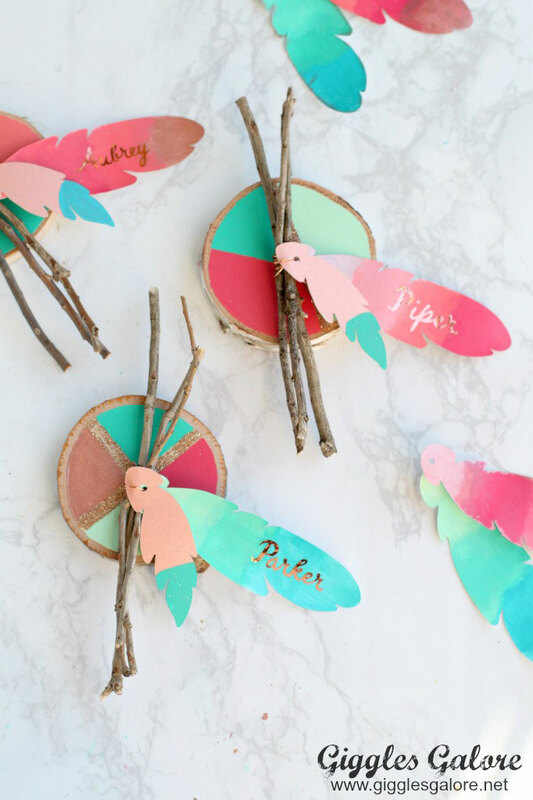 Try these colorful painted feather Thanksgiving place cards by Mariah from Giggles Galore. In the hustle and bustle of our lives, it's good to stop and think of all the things in our life that are good. 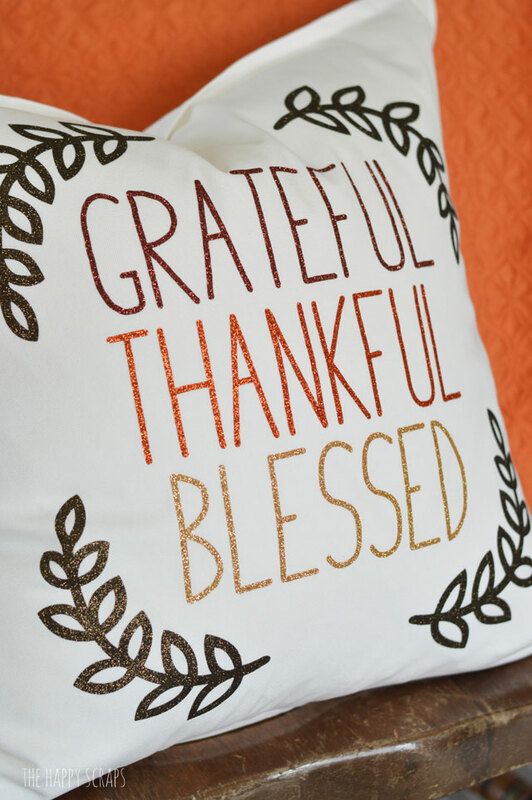 This Grateful Thankful Blessed pillow by Amy from The Happy Scraps can serve as a physical reminder. 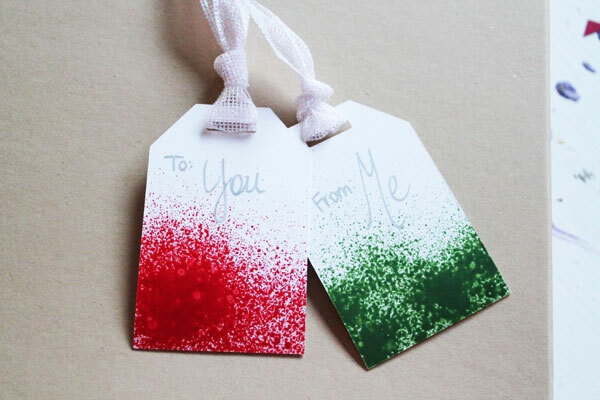 Part of the beauty of these paint sprayed gift tags by Carolina from 30 Minute Crafts is that it would be very easy to coordinate the colors to match the occasion or the receiver's favorite colors. Which one of these projects intrigues you the most? 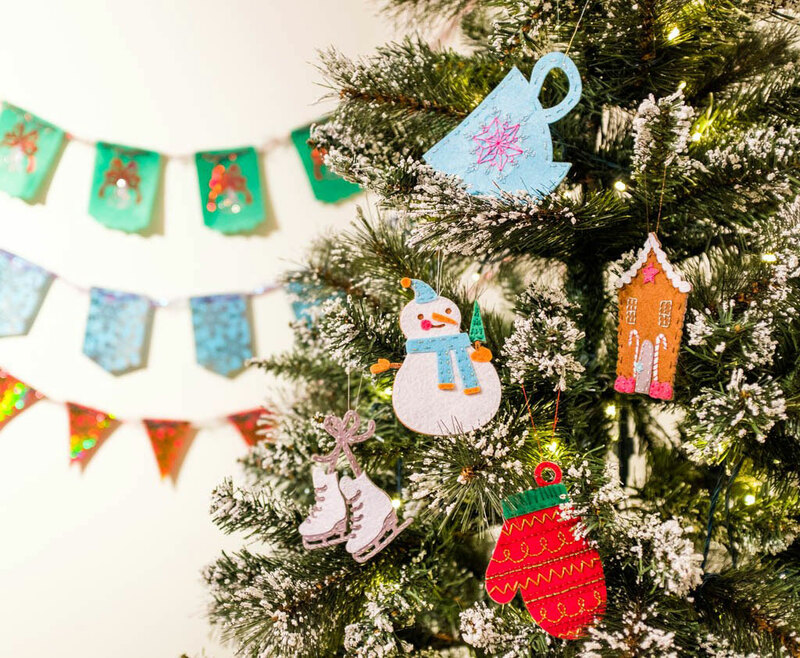 Show us your holiday projects made with a Cricut Maker by using the hashtags #CricutMade and #CricutMaker! Love these projects! Thanks for including me! Always in search for quick, easy and great looking projects for the holidays. The projects, hit all three. I think I might just do the “Un” wreath. Because we have so much wind, I’m always hunting down the wreath after a good evening of wind. I’m quite sure, I won’t have to chase down this tree! I’m looking for the project to make Christmas ornaments out of paper, three cuts of paper with writing on the top cut. JOY. How do you get oracal 651 to stick to canvas? I’ve tried several different methods and I can’t get it to stay. I love the canvas front door deco. I put some vinyl letters on wood today, then sprayed them with polyeurathen. The letters curled up and peeled off,. Could I do something differently to make them stay? Something like Modge Podge might work. You could experiment with different sealants to work with your specific wood.